Springbank (Bourbon Barrel) Fanboys: Buy Now! A great thing! Everyone else: Stand up for the Springbank (Bourbon Barrel) fanboys! Well, I paid around 100 euro - agree its a bit steep for a 10 yo whisky, it should probably be priced around 50-60 euro. 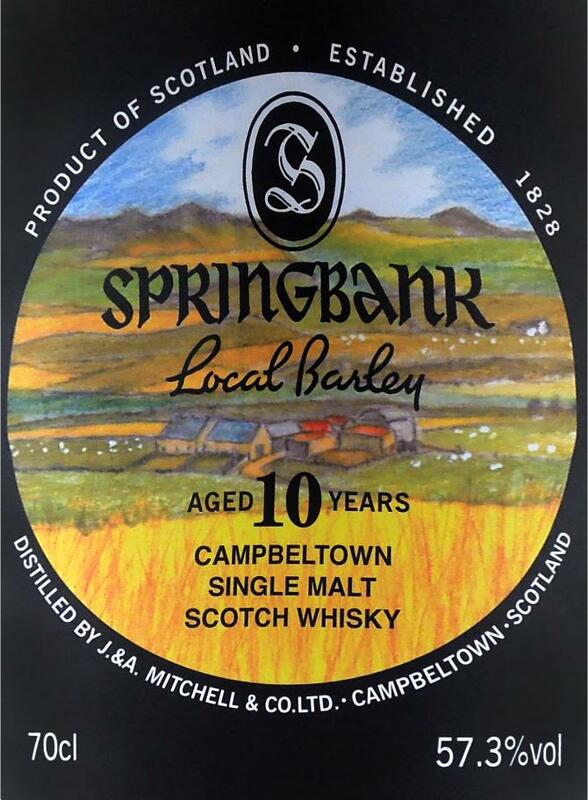 The 10-year-old Springbank starts very sweet, fresh, almost floral and mineral. Plenty of vanilla, pastry notes, blossom honey, freshly squeezed lemons, hints of orange and mineral notes (salt) are my first associations. The alcohol is well integrated, only a slight cooling in the nose was briefly noticeable after pouring. With a few drops of water I like the nose better (works harmonious). The sweet notes and bright fruits can also develop a bit better. Hints of chocolate, oak and delicate smoke give the malt a nice amount of complexity. As a Spring Bank lover, I'm already at Nosing at my expense. Even with a few drops of water still very powerful and full-bodied. The texture of the malt is pleasantly soft. Freshly squeezed lemons, orange peel, vanilla, salt and smoke form the basis of the taste. The fresh sweetness harmonizes perfectly with the light smoke, the mineral aromas and delicate oak wood notes. Bright fruits (green apples), honey, a hint of peach, marzipan, dark chocolate, nuts and a pinch of pepper complete the aromatic variety. 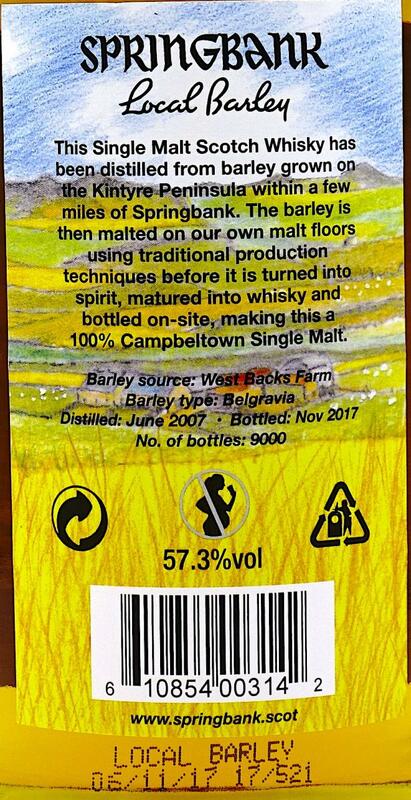 With a few drops of water, I like the springbank a bit better in terms of taste (more harmonious, without losing any of its power). Long, sweet-smoky and warming. A wonderful residual sweetness flashes: vanilla, oranges, lemon juice, red fruits and honey unfold. Salty caramel sweets, dark chocolate, oak and smoke make the Springbank slowly fade away. On the palate remains a slight bitterness. Quite surprising, since the first sip was actually a little disappointing, but luckily this changed pretty quickly. It got a lot better after that. This is sweet stuff! Traditional Dutch butter candy, yup look that up if you don’t know these candies. This dissapears rather quickly, followed by a bit of peat and citrus. A hint of vanilla. In the background some minerals and dieseloil. Cereals can be find here too. Quite nice. The Dutch butter candies are here as well. Vanilla, a hint of liquorice. A bit oily too. Some peat and brine. A layer of honey. That is followed by a little bit of cookie dough. Mid-long and drying. Quite salty too, some pepper and cinnamon. And a layer of sweetness from honey. 10 years version of a barley bere version! Maybe the harshest Springbank I've encountered. Took forever to open up, and I had to use water in quantities that I hate to use when I buy CS whisky. All the delicate flavours that I found in the 16-year-old LB were by no means present in this one. Still Massive Springbank fan though. This one just didn't suit me..
A good woody-grassy mantle with rubber motifs, fairly harmonious, one-piece, despite youth; quite a drink, but not particularly impressive, considering the excitement around this series and the price tag under 150 Oiro, it is very similar to Brookladi's Ayla Barley, only there the price is quite consistent with the quality, but here, alas. Clear, moist, woody-herbaceous, fresh asleep, fresh medicinal herbs; grain, raw cardboard, carpenter's workshop, drying plaster, camphor, green apples. Dense, sharp, tart oak, syrupy sweetness, peppery wave, malt-grain notes, light rubber shades, sulfur-metallic motifs, fruit-lemonade tones. Spicy, warming, malt-grain shades flavored with sweetness, greens, margelan radish, black pepper, rubber, tropical fruits, ash. Not very refined, a bit hot, but the distillate shines in this one. I did not chase this one. I thought the new local barley 16 from two years ago were good but not great, so why would I want to pay so much for an 11 or 10 year old? Initially closed and a bit hot. After a while, a hint of the famous Springbank peaty funk can be coaxed out. Malty. Young green apples. Not terribly complex. Nice! Very good, oily mouthfeel, very typical of Springbank. This is damn good. Pear, green apples, with an asparagus note. Still, I wouldn't call this complex but it is excellent. 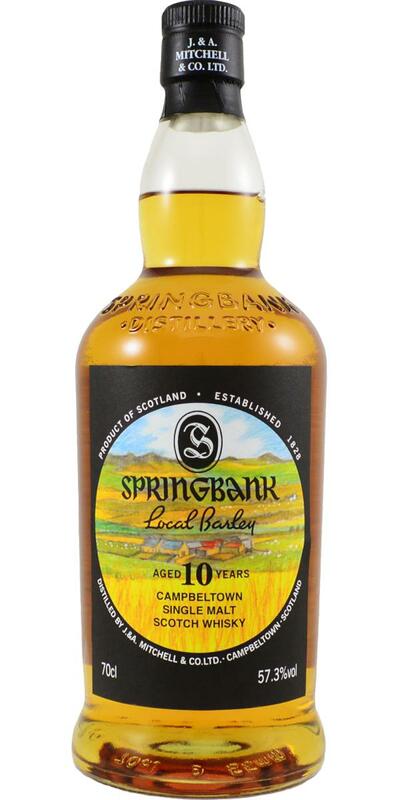 Goes to show you that Springbank has one of the most wonderful distillate out there. A bit hot though. A bit bitter at the end, like bitter melon. All the notes in this one is "green".